Fuller’s Brew Master Dinner @ Bread Street « Liquid Assets Limited: Wine & Beer! 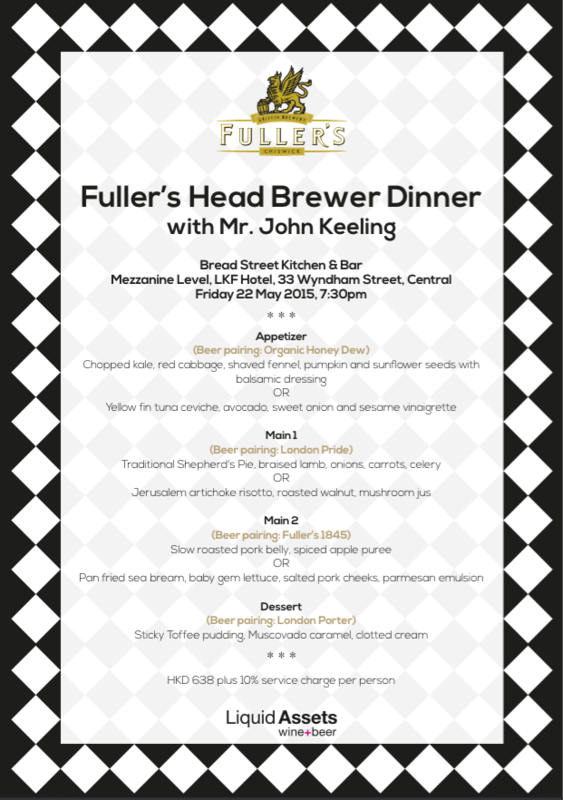 You are cordially invited to an evening of delicious dinner and exquisite beers from the United Kingdom with a legend of the brewing world, Fuller’s Head Brewer, John Keeling. In 2006, he was awarded the title of Brewer of the Year by the British Guild of Beer Writers. Fuller’s has won five CAMRA Overall Champion Beer of Britain’s during his tenure at Fuller’s.